Consul General Lal Wickrematunge with Ven. Ajahn Sujato Thera and Dr. Mark Allon, at the Dhamma discussion. The Sri Lankan Consulate General in Sydney together with SuttaCentral.net organised a Dhamma discussion with SuttaCentral Co-Founder Ven. Ajahn Sujato Thera and University of Sydney Chair of School of Languages and Culture Dr. Mark Allon, on March 13, at the University. This is the first of the three events organised by the Consulate General in Sydney on the occasion of Tripitakabhivandana - Tripitaka Week - declared by the Sri Lankan government from March 16 to 23. Tripitaka or the three baskets of the Pali Buddhist Canon was declared a national heritage by President Maithripala Sirisena, on January 5, at the Matale Aluvihara Temple. 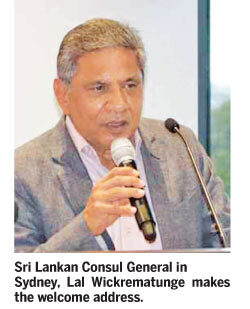 Welcoming the gathering, Consul General Lal Wickrematunge explained that the Sri Lankan government’s initiative of the Tripitaka Week is to further recognise the importance of preserving the Tripitaka by inscribing it in the UNESCO ‘Memory of the World Register’. This will give the public access to the teachings of Lord Buddha, as the UNESCO Memory of the World Register is established to preserve documentary heritage, the Consul General said. The keynote address was delivered by Ven. Ajahn Sujato Thera. Ordained in Thailand in the forest lineage of Ajahn Chah, the Ven. Thera has extensively studied early Buddhist texts in comparative and historical perspectives and made them digitally available on SuttaCentral.net. The Ven. Thera said the initiative taken by the Sri Lankan government is timely as the Pali Tripitaka from Sri Lanka should be inscribed in this register, given its cultural, doctrinal and spiritual significance. He said that the Pali Tripitaka is the only continuous historical living tradition which has lasted up to the present and people practice and live by the Tripitaka, building a whole culture. Adding that the Tripitaka maintained a pure and pristine tradition whereas the additions which were invented later tended to be placed in separate books, Ven. Ajahn Sujato Thera commended the measures taken to protect the Pali Tripitaka and inscribe it as a World Heritage. Addressing the gathering, Dr. Mark Allon said declaring the Tripitaka as a national heritage and the measures to include it in the UNESCO Memory of the World Register must be appreciated, as it will be instrumental in preserving the Pali Buddhist Canon. Ven. Ajahn Sujato Thera and Dr. Allon engaged the scholarly audience in a discussion wherein they raised questions of depth about the Pali Scriptures, emphasising the timeliness of inscribing the Tripitaka in the Memory of the World Registry. 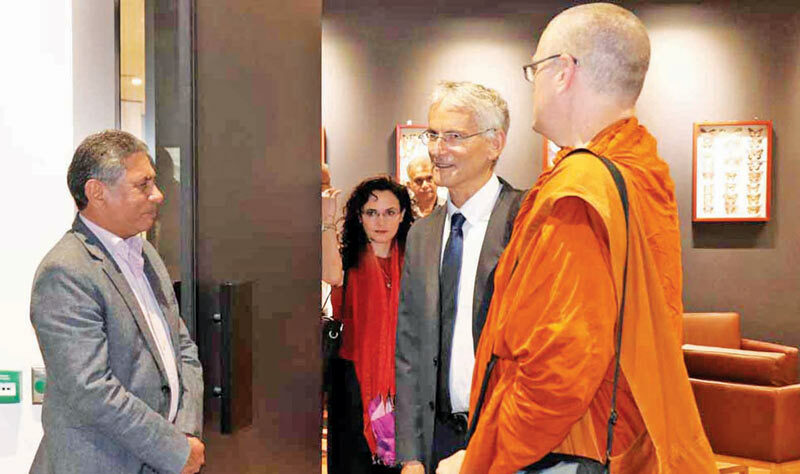 Members of the Buddhist Council of New South Wales, including its Chair Gawaine Powell Davies, were also present.